RYANAIR AVIATIONS MOST EXPLOITED AIRLINE WORKFORCE .We are in no way affiliated with Ryanair. : RYANAIR CABIN CREW TRAINING SCAM EXPOSED BY SCOTTISH TEENAGER LAUREN CUSICK DAILY RECORD..
RYANAIR CABIN CREW TRAINING SCAM EXPOSED BY SCOTTISH TEENAGER LAUREN CUSICK DAILY RECORD..
Ryanairdontcare Campaign have been fighting Ryanair cabin crew recruitment for seven years now.We not only target Ryanair for protest but also one of their largest Shell companies, Crewlink Ireland which Ryanair set up. Crewlink Ireland recruit young people from all over Europe to work on board Ryanair with up to 60% of new recruits terminated under a 12 month period.This practice is called RECRUITMENT for TERMINATION which main goal is the per hour rate of pay Scam run by Ryanair. Every part of the recruitment/training and employment process is done to make huge profits at every part with no thought to the young lives of these young wannabe cabin crew. In the seven years of Ryanairdontcare Campaign's battle with Ryanair never have i been in contact with a lady so strong and committed in exposing Ryanair's exploitation of young cabin crew.Today the Daily Record newspaper printed some of her story. Even more amazing is Lauren Cusick from Uddingston,Scotland is only 19 years of age.................. Teenager shelled out nearly £2k on Ryanair hostess training course and ended up with nothing.. LAUREN Cusick, 19, said she was kicked off a Ryanair course two weeks before completion – after failing one test by a single percentage point. A TEENAGE jobseeker and her family claim they were left nearly £2000 out of pocket after she tried to train as an air hostess. 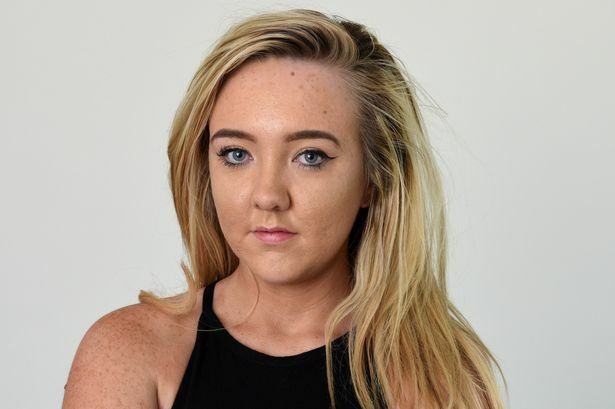 Lauren Cusick, 19, said she was kicked off a Ryanair course in Essex two weeks before completion – after failing one test by a single percentage point. By that time, she and her parents, Gary, 47, and Lee, 42, had shelled out for registration fees, flights from Scotland, accommodation and a uniform, all of which were non-refundable. Lauren, from Uddingston, near Glasgow, was delighted when she passed an online application and an interview for Ryanair cabin crew. Crewlink, official recruiters for the budget airline, then contacted her to complete the final stage of the recruitment process at Stansted airport. The six-week course started in January and Lauren was told she would be qualified to start working by March. She said: “It was my dream job, something I’d always wanted to do. But then it was made clear if I wanted it, I would have to pay for it and the bills started coming in. ''I was desperate to have a career as an air stewardess so I agreed and paid my deposit, my flights and my rent up front''. “Then I was told I was out – and that was that. “I think it’s ridiculous how much people are being asked to pay and then are walking away with absolute nothing. “There were more than 20 people in my class. Only half passed.” If she had passed, Lauren would also have been liable to repay more than £1900 in training fees from her wages. The teenager claimed initially she was told she would have to cough up that amount despite not finishing the course. Lauren said: “The instructor announced in front of everyone that I’d failed. Then she took me aside and said my course fees would still be due although I hadn’t passed. “I was furious and rang the instructor’s boss, who agreed on this one occasion to let the payment go – but they kept my reservation fee.” Even though Crewlink’s website states that this fee includes a “medical examination”, Lauren said she had to shell out another £120 for an independent examination. She was also told that an additional fee would be deducted from her eventual wages to pay for her uniform. READ MORE: Jet tae! Scots holidaymakers fuming after drunk stag do revellers delay their plane in airport nightmare Lauren borrowed money from her parents as the costs started adding up, all the while believing that at the end of the six-week course she would be a fully qualified flight attendant earning around £1200 a month – before tax and any course fee and uniform deductions. She said: “I studied really hard. I wanted this job so much, I wanted to give it my all – and I really did. “Everything was going well and I was really looking forward to qualifying. “But then I was told I failed an exam by one per cent. I was so shocked because I’d done nothing but study. I’d passed every other one with 97 or 98 per cent. “I asked to see my paper and was told that wasn’t allowed. I asked to resit the test and was told it wasn’t allowed.” Lauren added: “I was willing to work hard and really wanted a career but it ended up costing thousands – and it didn’t just stop with the course fees. “I’d been told I’d be contracted from London for three years after the course. “I was a bit wary at first but on the first day the Crewlink instructor told us that the course had a 99 per cent pass rate. “So I paid my flight ticket and signed up for a room in a house recommended by Crewlink. “I paid my rent for six weeks plus a deposit and ended up sharing with nine people. I put up with it because I thought I was a step closer to my dream job. “Instead I ended up having to buy another flight back home.” When contacted by the Record, Ryanair said our inquiry was a “matter for Crewlink”. The recruitment company’s general manager Andrew Swan said yesterday: “Crewlink offer cabin crew training to the highest EU standards and if students cannot meet these standards, especially in the area of flight safety, then they cannot qualify as approved cabin crew personnel. “The claims made by this lady are false as she only paid Crewlink a 500 euro course registration fee. “No student is forced to make any payments, but those that complete the Crewlink course and qualify as cabin crew will pay a course fee of 2599 euros in eight subsequent monthly installments. “This case is no different to any other student who pays course fees to their university with no guarantee of a job at the end. “Ninety-five per cent of students who attend a training course with Crewlink go on to work as cabin crew.” Crewlink’s online advert makes no mention of any fees due. But elsewhere on their website it gives candidates two options on how to pay for training and states the registration fee is non-refundable. You can read the full article below... http://www.dailyrecord.co.uk/news/scottish-news/teenager-shelled-out-nearly-2k-8104489#Vq8CwDCFvHi4zMpu.97 ........ John said,THANK YOU LAUREN...... Amazing young girl of 19 years of age took on Ryanair,exposed their sham training set up and got it published in the Scottish press. Lauren was not the only person on the training course that failed by 1% and most being from Eastern Europe with some only having little English,all allowed to retake the test but not Lauren.The test paper which Crewlink say Lauren failed by 1% has never been shown to Lauren even though her family have been asking for it for months now. Ryanair/Crewlink have a set up that works well in exploiting these young students.Recruitment for Termination is part of the set up and Ryanair/Crewlink only recruit as many as needed to cover their terminations.I believe Lauren was scammed at the training point of entry at Ryanair and she won't be alone.Most young people blame themselves for failing training or their cabin crew probationary period and do not see the Scam involving Ryanair/Crewlink,not this amazing young girl Lauren Cusick. 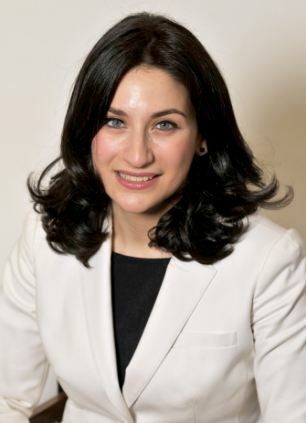 Look at Sophie Growcoot from Liverpool who worked as cabin crew for the airline after she was employed by Crewlink in 2013 and her exploitation by Ryanair/Crewlink was exposed by MP Luciana Berger During a debate in the House of Commons in UK. Full story here....http://www.dailymail.co.uk/news/article-2326003/Ryanair-air-hostess-blows-whistle-contract-staff-forced-months-unpaid-leave-buy-uniforms.html MANY YOUNG PEOPLE WISHING TO BECOME CABIN CREW WILL SEE LAUREN'S STORY WHICH IS A GREAT VICTORY FOR THE CUSICK FAMILY. Read a comment sent to Ryanairdontcare Campaign from a present Ryanair/Crewlink cabin crew member here.................................... This is what a Ryanair/Crewlink cabin crew sent me...Good evening! I'd like to message you, as I am currently a Crewlink employee working for Ryanair and am COMPLETELY unhappy from day one of my training. I'm writing this using a different profile just incase I'm fired before I pursue action against them. I trained last year in appalling conditions. We spent 6 weeks in what can only be described as a modern day concentration camp! Through this time we were absolutely exhausted and weren't eating properly due to the lack of spare time and lack of funds (which we relied on family for as the company didn't care about us enough to find ANYTHING). We signed a contract after being given only 10 minutes to read through it, on the very last day of the training. After 6 weeks, I can tell you I was physically and emotionally exhausted, and after paying all the money is already paid, as well as the exhaustion, it was inevitable that I should sign the contract. We got to our base, and on the first day, had to have a tour of the base from base supervisors. These base supervisors, from the moment we met them outside the airport, were rude and in absolutely no way friendly towards us. This rudeness and very often ignorant attitude from them, has continued even up to this day. There are certain ones who, if you say hello in the crew room, they will ignore you as if you're not even there. We are paid only for flying hours, and nothing whilst on the ground. This means we can easily work a 12 hour day and be paid for just 7 hours work. There are home standby days, where we are paid absolutely nothing. And there are airport standby days, in which we are forced to sell bus tickets, tag bags to be offloaded etc. And are paid just 3.75 per hour (well below minimum wage). I am completely unhappy, but cannot resign until I have paid the money I owe to Crewlink for the training, and also the money I borrowed to make it possible to be employed by this company. I feel disrespected and feel that the work ethic of the company is totally immoral and wrong. Surely there are illegal things going on that can be stopped? Thank you for reading this, A concerned cabin crew member.